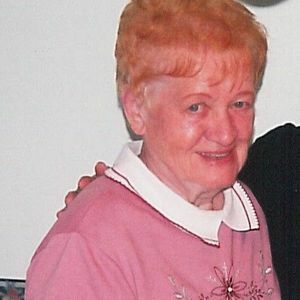 "Our lovely aunt Dorothy you will be missed and in our hearts forever! Your loving family"
"Dorothy was a wonderful, generous and caring neighbor of ours for many years on Outlook Drive in Brooklyn. She introduced us and many of her friends to her delicious homemade fudge. We will always cherish our memories of Dorothy, John and Jack." "May the loving God of all comfort and a promise hope, be with the family and friends and loved ones at this very difficult and sad time. Psalm 990:10-12"
"I was childhood friends with her son Jack and spent a lot of time at her house. She was like a second mother to me and I will miss her very much." "Another branch of our famiy tree is broken. I met Dorothy years ago in St. Clairsville, Ohio. A pleasant lady. My sympathy to the family."